This golden classic helmet logo display case comes with a black acrylic base, gold risers and mirrored back. It is made of 1/8'' thick acrylic and features a clear acrylic removable lid engraved with team logo. Perfect for a collectible helmet. Officially licensed by the National Football League. Inner measurements: 13 3/4" x 10 1/2" x 10 3/4". Outer dimensions: 14 1/2" x 12 1/2" x 12." Memorabilia sold separately. The Washington Nationals Golden Classic logo baseball display case comes with a black acrylic base a.. The Chicago Blackhawks deluxe hockey puck display case display is made of 1/8th thick acrylic. It is..
Machine-Made Tufted. 100% Premium Nylon Pile. Made in the USA! Pittsburgh Steelers 7'8"x10'9" NFL Te.. 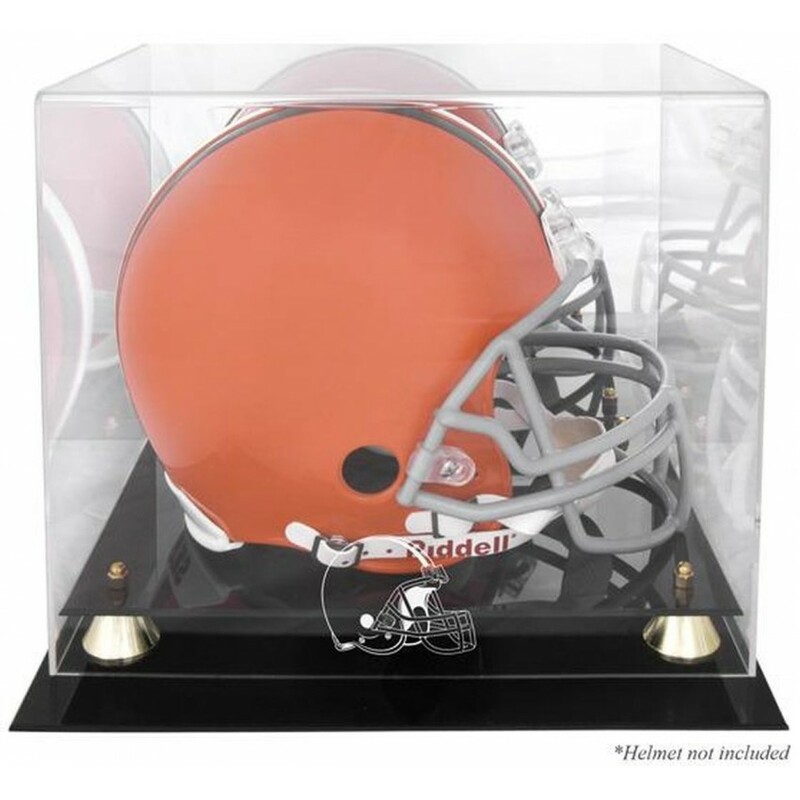 The Emmitt Smith Hall of Fame 2010 Golden Classic helmet display case comes with a black acrylic bas..
Each collectible features a 6'' x 8'' photograph of Philip Rivers, a team logo, and a nameplate with.. The Tennessee Volunteers mahogany framed logo jersey display case is made from a durable, high stren..